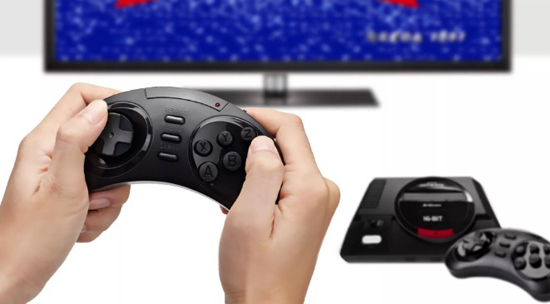 The Sega Genesis Flashback, upcoming $80 retro console that bundles 85 old Sega games with two wireless controllers, HDMI video output and save game slots. 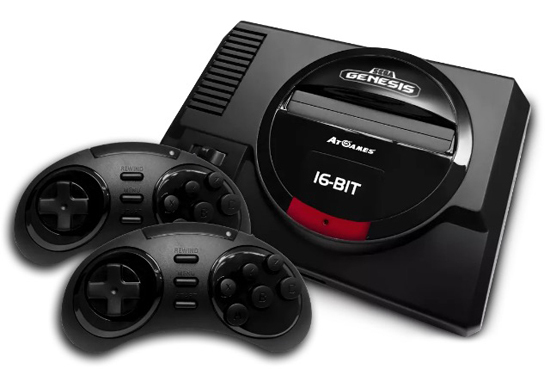 Along with the updated Atari Flashback, the Genesis unit is one of the latest offerings from AtGames, which has been churning out these sort of retro mini consoles for more than a decade -- long before Nintendo jumped on the hardware nostalgia train with last year's NES Classic and the upcoming Super NES Classic. Game selection: The Flashback includes 85 games. Some of those games are random, not-really-Genesis shovelware. Others are Sega Master System or Game Gear titles, thrown into the mix. Sadly, it doesn't include the game called Flashback, a fantastic title from Delphine (which also made Another World). Still, there are plenty of classic Sega Genesis picks in the bunch: Altered Beast (meh), Golden Axe, Sonic the Hedgehog 2, Phantasy Star 2 and 3, Comix Zone, the Shining Force games and Shinobi III. Wireless controllers: Nintendo stuck with wired gamepads for the NES and SNES Classic. 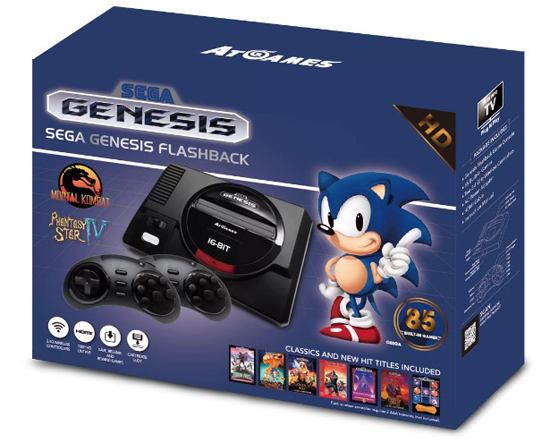 AtGames includes two wireless controllers with the Genesis Flashback. Cartridge support: The Genesis Flashback also supports original Genesis cartridges. If that actually works, then this could double as an HDMI-equipped way to play old games, maybe like a less expensive Analogue NT Mini.